The creation of World Wide Web is most probably the most important piece of invention of late twentieth century having the power and potential to alter the path of world history (some political analysts credited the recent Jasmine revolution to social media). The single factor behind its creation was information sharing all over the world by people belonged to all sphere of human society. The socio-economic and cultural impact of it is an ongoing process affecting our life in all respect every day. So my question is to what extent the search engines have fulfilled and maintained the true spirit of World Wide Web. The moral obligation of delivering the proper information and true knowledge to the users lies on the hand of search engines. The evolution of search engines starting from the introduction of first search tools “Archie” or first search engine “W3Catalog” to the birth of search engine giant “Google” in 1998 is really a matter of great interest. When more and more web pages have been added in internet, the need of a web guide was felt greatly to retrieve proper data from the web and this void was filled by the introduction of search engine. So the prime objective behind the creation of a search engine was to help and guide the users in the vast world of information. Google changed the nature of searching and indexing web pages by introducing its new concept of page rank algorithm based on linking factor. The basic assumption behind it was that quality pages will get more links from other pages as compared to the pages of inferior quality. With such innovative algorithm Google became the trusted web guide of users very quickly. Other search engines have gradually followed the same principle. In the process of providing the best user experience, search engines have made numerous updates in their algorithms. 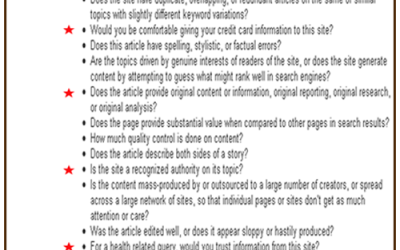 And to rank well in SERPs, sites are trying to follow their guidelines. In this process, search engines have become the guardian of site owners. But the dual characters of guide and guardian by search engines have some funny and controversial side effects. Sometimes the search results are beyond your wildest dream. For example, when I searched for horse in Google HORSE Poker Game, Horse Breeding Game and horse breeding video from YouTube were in the first page of Google SERP. Sometimes popularity does not mean quality. The boundary between guide and guardian role is becoming hazy due to commercialization of search results. If they want to play the role of true guide, then they have to provide what the users want. But algorithmic search results mean they provide what their algorithm decides and in this process they become the guardian of users. I know that a search engine can’t work without an algorithm. I am not crazy. But my concern is to what extent the refinement of algorithm satisfies the users’ need. 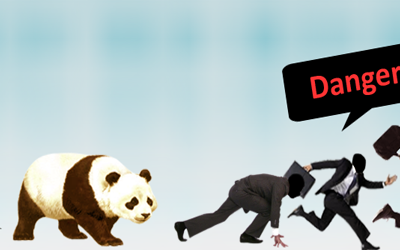 The last year Google Panda update victimized many innocent sites. Simply adding the effect of social media in algorithm means trying to include popularity factor than quality factor. The present trend is such that YouTube is becoming the second largest search engine rather than quality and informative sites like Wikipedia. In such scenario, calculated inclusion of social media in algorithmic updates is required. The search results have greater impact on the psychology of users. They believe what they find at the top pages to be true and authentic and in such condition abnormal results may change their mindset. Search engines have to be more conscious while updating their algorithm.